Last year’s The Maze Runner film adaptation drew in over $100 million in ticket sales and fans are eager for more. Luckily we have a sneak peak at the upcoming sequel, Maze Runner: The Scorch Trials! The films, based on James Dashner’s young adult book series, involve a group of unsuspecting boys dropped into a mysterious maze, where they fought (sometimes each other) to escape. The cast includes Dylan O’Brien, Aml Ameen, Kaya Scodelario, and Thomas Brodie-Sangster. People also released three exclusive images, check them out below! 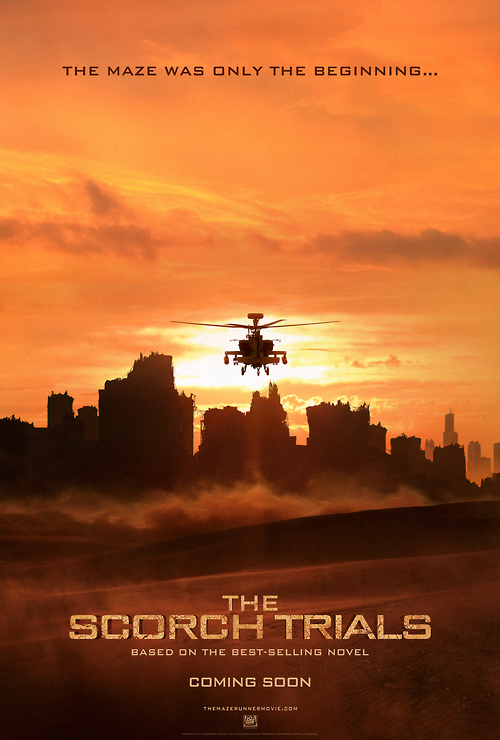 The Scorch Trials hits theaters September 18. Are you excited for the film? Leave a comment and let us know your thoughts on The IF List! ‘Who Should Play You?’ Benedict Cumberbatch, Miles Teller, and More Give Their BioPICKS!